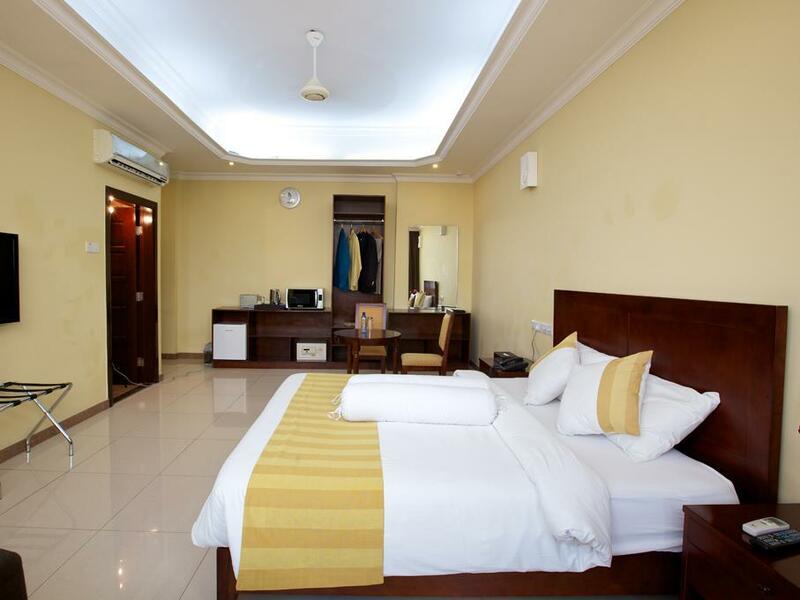 ﻿ Tanzanite Executive Suites Hotel Dar Es Salaam. JIMAT di Agoda.com! Ada soalan mengenai Tanzanite Executive Suites Hotel? Sesuai untuk berehat dan bersantai, Tanzanite Executive Suites Hotel terletak di area Kivukoni di Dar Es Salaam. Hanya 0.1 km dari pusat bandar, lokasi strategik hotel memastikan tetamu boleh ke mana-mana sahaja dengan cepat dan mudah ke tempat-tempat tarikan. Bagi anda yang ingin pergi agak jauh, Khoja Shia Ithna Asheri Jamaat, Ngazija Mosque, Darkhana Jamatkhana merupakan beberapa daya tarikan untuk pelawat. 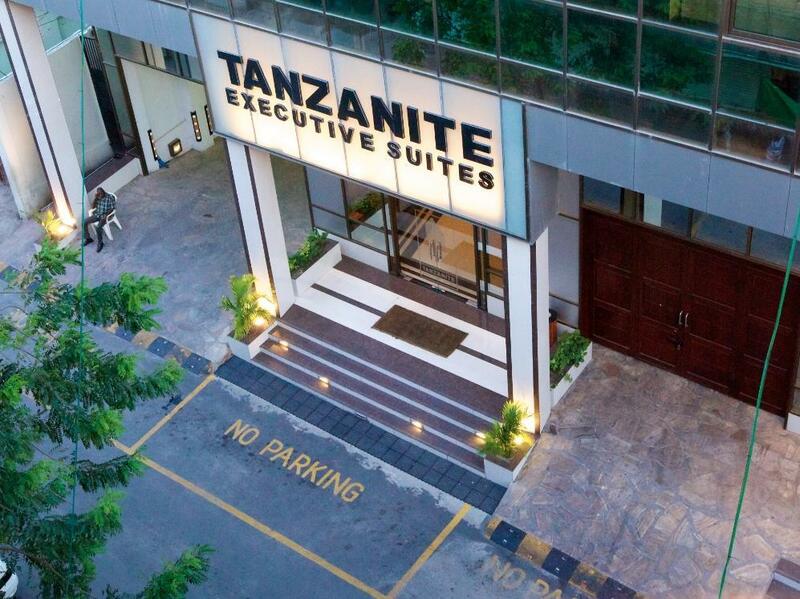 Tanzanite Executive Suites Hotel juga menawarkan banyak kemudahan untuk memperkayakan penginapan anda di Dar Es Salaam. Untuk keselesaan dan kemudahan tetamu, hotel ini menawarkan khidmat bilik 24 jam, Wi-Fi percuma semua bilik, meja depan 24 jam, daftar masuk/daftar keluar ekspres, simpanan bagasi. Suasana Tanzanite Executive Suites Hotel terpancar di dalam setiap bilik tetamu. televisyen skrin rata, linen, tuala, internet wayarles, internet wayarles (percuma) hanyalah sebahagian daripada kemudahan yang boleh didapati di hotel tersebut. Di samping itu, pihak hotel menawarkan aktiviti rekreasi untuk memastikan anda mempunyai perkara untuk dilakukan sepanjang penginapan anda. Apa juga tujuan lawatan, Tanzanite Executive Suites Hotel merupakan pilihan yang terbaik bagi penginapan anda di Dar Es Salaam. Great friendly staff and the rooms are super nice for the price with everything you possibly need. Location is city center so walkable to lots of nearby markets if you want a taste of local local living. Airport transfer isn’t cheap but very reliable. Worth the peace of mind. Stayed twice both were good. perfect for a short layover in Dar. Even a go-to for some of the locals. Clean, comfortable, well-stocked room with refrigerator, kettle, tea, plates/cutlery, and washroom items. Many TV channels. View of the city from 5th floor room. Very professional customer service - offered juice on check in and packed breakfast because our flight was early in the morning. You can even get delivery from Dar's best chicken spot. Good for business travelers or in-and-out tourists. Airport transfer additional $25 USD (kind of high) and not much character to the place, but it's well-run. (Review for two friends traveling on a stop-over in Dar from Zanzibar). The Tanzanite Hotel is very basic and is not in my view a 4 Star hotel - 3 Star at best. The staff is nice and helpful, breakfast is not very good and the air conditioning is weak. The hotel is "ok" for 1 night, but I would not stay there again. I had a good stay here. The staff were excellent and the rooms were comfortable and quiet (except for some other very loud guests at 1am on my second night...). The hotel is in an interesting part of town for having a wander and a look around, and close to to both ferry terminals. the restaurant's evening menu is limited, but there are lots of outside tea shops and restaurant close by with great food options. The airport taxi is hugely overpriced, but a comfortable and efficient service. Would stay here again. The hotel is in the centre of the city and has clean rooms. The internet is free of charge, but sometimes difficult to get connection. There are no restaurants close so dinner is in the hotel. Western menu is available. Breakfast is poor. Room is simple. 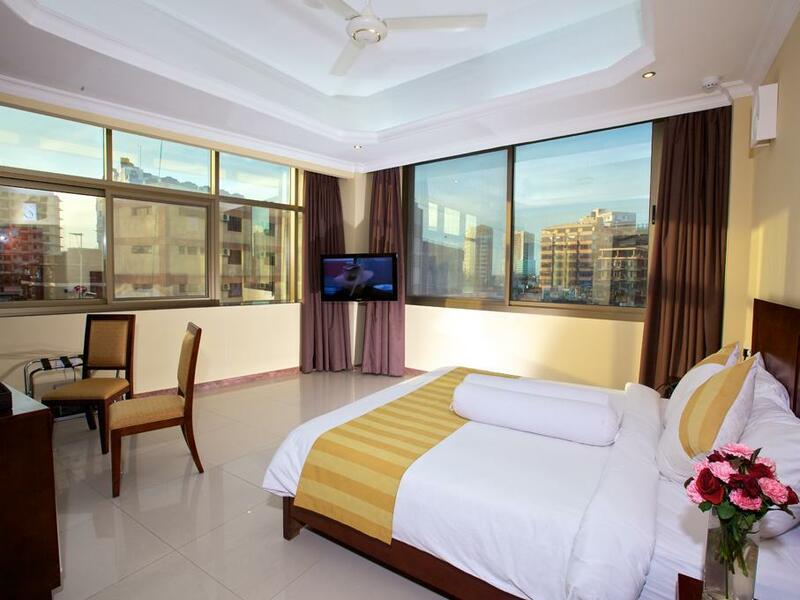 The Tanzanite suites are quite hard to find in down town Dar Es Salaam. This is an African City so don't expect beautiful surroundings - it is located in the city centre and easy walking distance to local bars and restaurants and the harbour for trips to Zanzibar. Taxi Stand outside for easy transport. Fairly large and very comfortable rooms and plenty of hot water. Fairly modern with rooftop gym with Sauna & Spa. View from the room was over the city with a mixture of old run down buildings (business and residential) and modern new towers. Round the clock service, quiet, clean, friendly staff. i stayed at the tanzanite for a total of 9 days and thoroughly enjoyed my stay. staff is very friendly at when they say 24 hour room service, it is absolutely true. the room was very nice, comfortable beds, nice view from a small balcony. the hotel has a very strict alcohol policy and alcohol is strictly prohibited in the hotel. this probably adds to the tranquillity of the hotel. i recommend going for a stroll from the hotel. it is very friendly in dar es salaam and i felt perfectly safe at all times. the hotel doesn´t have a bar for obvious reasons and it also lacks a restaurant for the time being. but you can order from menus in your room from nearby restaurant and call room service, who will then place the order for you. Had some low-ish expectations based on other sites' reviews, but this place turned out to be outstanding value for money. The hosts run a tight ship--very organized and efficient--and take good care of their guests. stayed there for one night on transit from arusha to zanzibar. 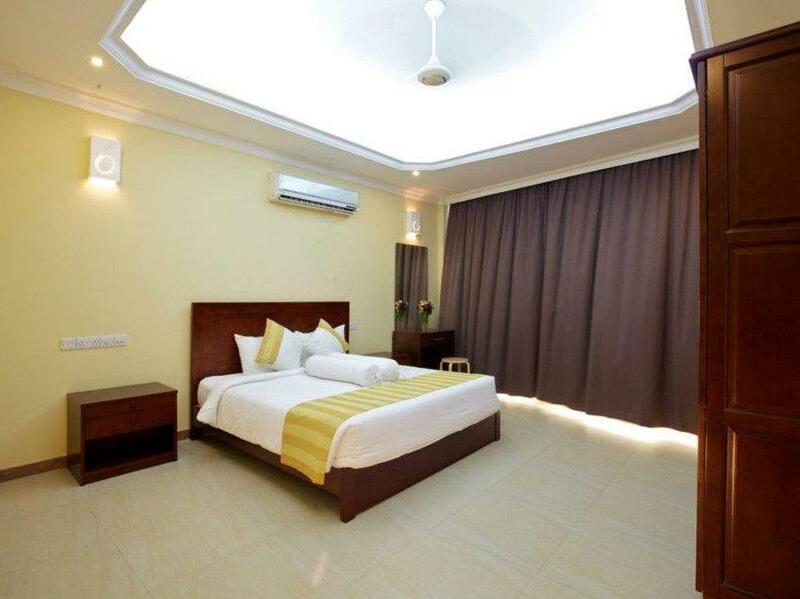 the rooms were very clean, spacious and they had a/c and a safe. there was complimentary water in the rooms and the room service was good and not expensive at all. breakfast (buffet) nothing out of the ordinary, but quite good actually. the staff were really friendly and very helpful at all times. the driver service (in our case to the port) was included with no extra charge. the gym was exceptionally large and well equipped. recommended! Great service, big modern rooms. we arrived at night with a booking starting only the next day, they put us in a huge family suite for the night, no questions asked - and without any additional charge! the location is not in the rich part of the city, but close to local malls, restaurants, etc. Pleasantly surprised by how new and modern the hotel is. The staff was also friendly and most helpful in providing advice and arranging transport options. The WIFI was fast, consistent and stable. We also felt very secure given that they seemed to have a big security team. The location was also fantastic - very central. Although the hotel does not have any restaurants, they provide room service order options and there are many restaurants nearby. 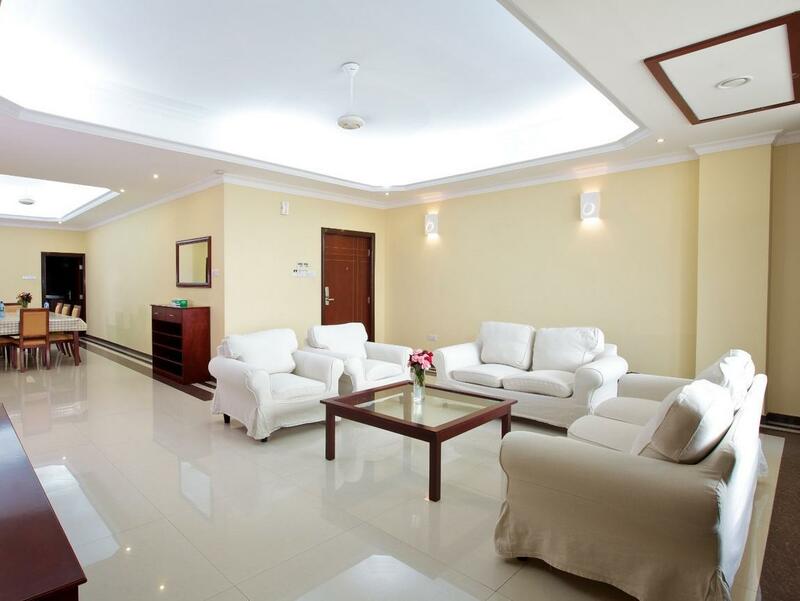 It is extremely spacious and classy, with great views of down town Dar, and walking distance to almost anywhere downtown. The interiors are very comfortable, with a large living room with sofa set, LCD TV and fitted wardrobes, which made out my business stay really convenient. It also has a dining table and a fully equipped kitchen and laundry room. 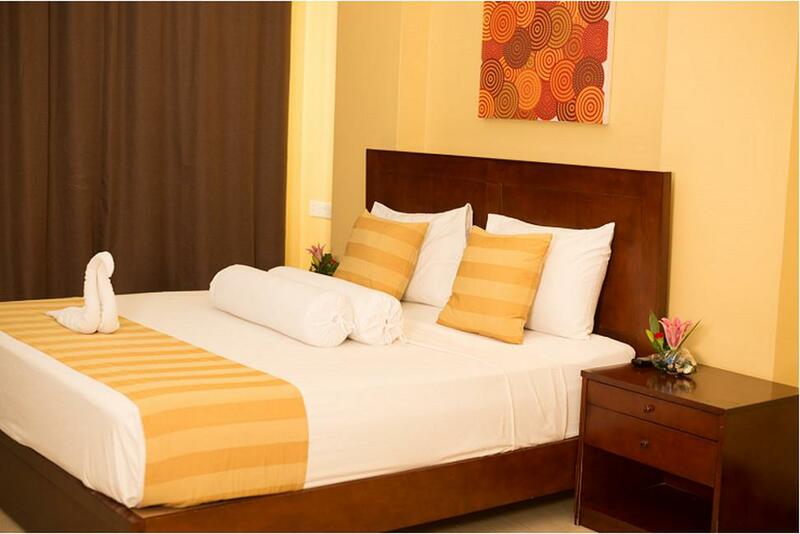 A spacious room located in the middle of downtown Dar Es Salaam. Free internet. No room service, but hotel provided all the menu for nearby take away and no charge, this made it very convenient option for food. I was great value for the money. The staff was very very friendly and obliging. My wife was sick and we got a suite for free of charge for the whole day after that we checked out. Really really helpful staff and mangers.